As we are now less than two months away from the 29th March, it is important for companies to be aware of the latest regulatory changes in the key aerospace issues of chemicals and aviation safety. 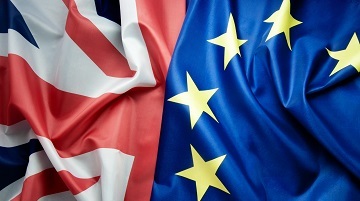 Members are reminded that EASA has opened third country aerospace safety approvals for UK companies, in order to ensure continuity in the event of a No Deal Brexit. Third country approval will be necessary for products placed on the market after 29 March, so all ADS members are encouraged to apply if appropriate. The CAA also has opened a process for aerospace design organisation approvals, which can be found on their Brexit microsite, along with the latest information from the UK side. Their Brexit microsite continues to be updated in response to decisions by the EU, discussions with industry and clarifications of earlier advice. The European Commission has put forward a proposal for an aviation safety regulation to provide a degree of certainty in the event of No Deal. This proposal is in the process of going through both the European Parliament and Council, and we will provide more updates when this regulation is passed. In the meantime, both EASA and the CAA are studying how the proposals will work in practice. With the Prime Minister’s deal voted down in the House of Commons on the 15th by a majority of 230, we cannot be sure whether a Withdrawal Agreement will be passed, and therefore No Deal is the only potential outcome we know we can prepare for. Any further questions, please contact Nicholas Altham, ADS Aerospace Policy Adviser: Nicholas.altham@adsgroup.org.uk.